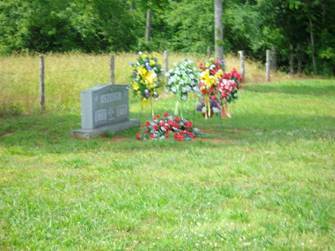 The Wayne Furnace Church of Christ Cemetery is located on US highway #64 8 miles east of Waynesboro, TN. There are only two graves here as the church is relatively new as well as the cemetery. It is located on the left side of the highway traveling east just before crossing Forty Eight Creek. The cemetery lies at the western end of the church parking lot.